Dj Thundercat – Music That Moves You! Every wedding is different. DJ Thundercat brings the music you need. All events receive the one-on-one attention they deserve. I listen to your requests, ideas, wants & "must haves" to create a tailored event experience for you and your guests. I was born and raised in Boston, Massachusetts. I bravely served 4 years in the U.S. Navy on the aircraft carrier USS Saratoga. After leaving the U.S. Navy, I made my home in Jacksonville, Florida. Today, I serve as a paramedic/lieutenant with St. Johns County Fire Rescue. I began performing in front of crowds at the age of 8 as the neighborhood magician. 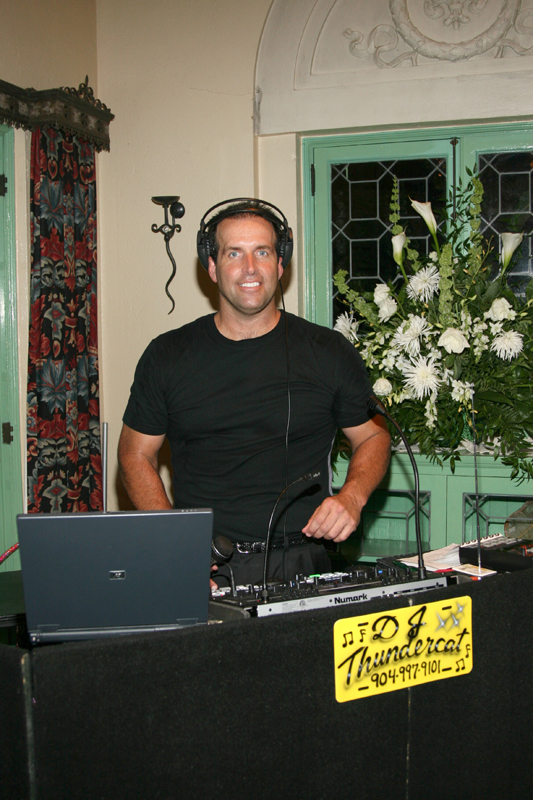 In 2002, I assisted my great friend Ernie with DJ-ing. I realized that I truly enjoy delighting crowds, and that was when DJ Thundercat was established. I am fortunate to meet many wonderful people while knowing that I am providing joy and wonderment to their special day.